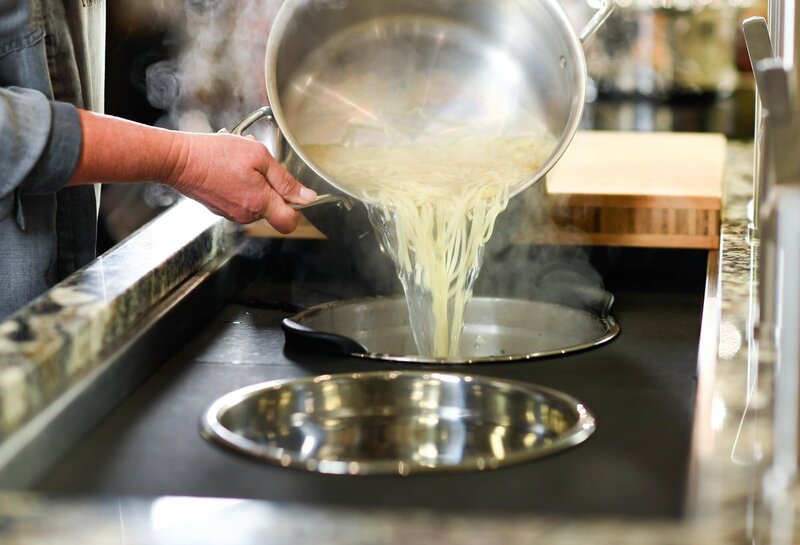 How a Tulsa Manufacturing Company is Changing How You Cook, Entertain, and Live. 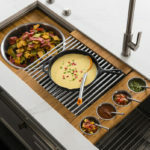 Can a kitchen workstation transform your life? 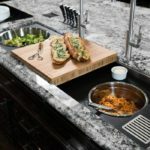 One Tulsa manufacturing company believes so and is revolutionizing the way we think about and use our kitchens. 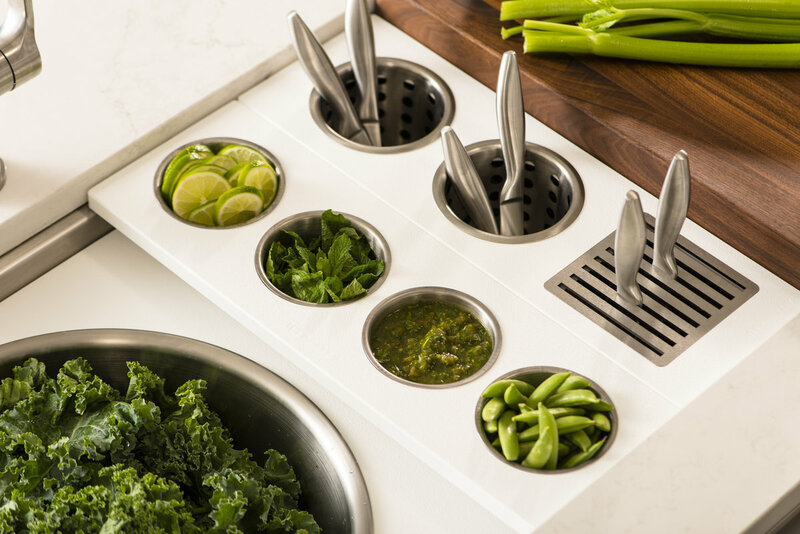 Discover The Galley. 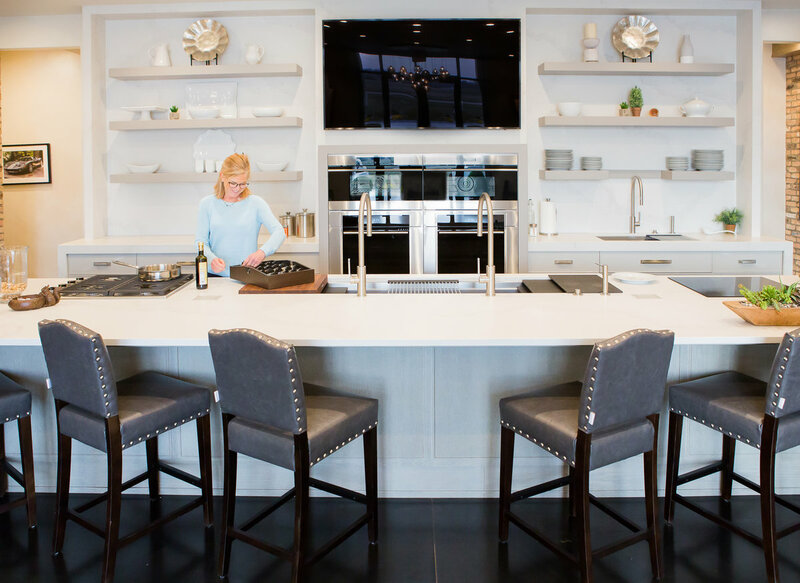 With the remarkable progress in the kitchen, The Galley was created to make life more efficient and enjoyable in this part of the home. And it’s working. 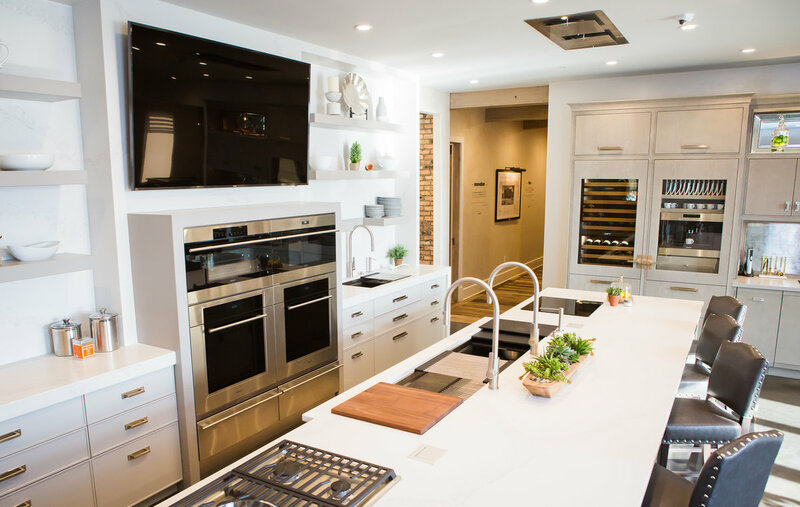 Now, highly functional and social kitchens revolve around the Galley Workstation. 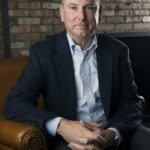 Scott Anderson, former senior executive at Dollar Thrifty Automotive Group and CEO of Anderson Capital Partners, saw the potential that The Galley had to completely reinvent the kitchen industry. 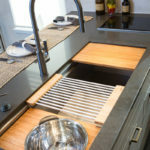 He bought The Galley in 2014 and immediately brought in David Kotowsky, a plumbing design expert and owner of multiple businesses in Chicago, as a partner and to help completely re-engineer and re-launch The Galley product line. 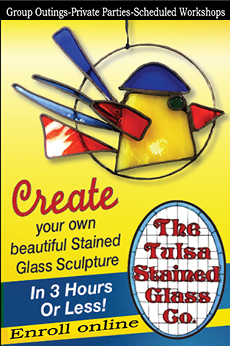 Since then, the company, headquartered in Tulsa, has expanded to over 100 products in its line. 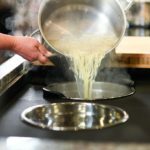 The Galley distributes its products through a network of over 300 Authorized Dealers in North America with international expansion planned for the near future. The Galley’s growth has been impressive. 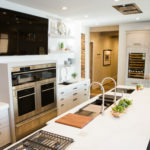 Homeowners incorporating one or more Galley Workstations frequently express they never want another kitchen without “their Galley”, and it’s the most-used appliance in their kitchen. They believe it’s a lifestyle change. Their reasoning? 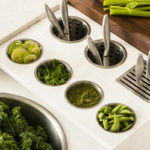 • The substantial basins with necessary Culinary Tools is a more efficient way to prep, cook, serve, entertain and clean because everything is in one central location. 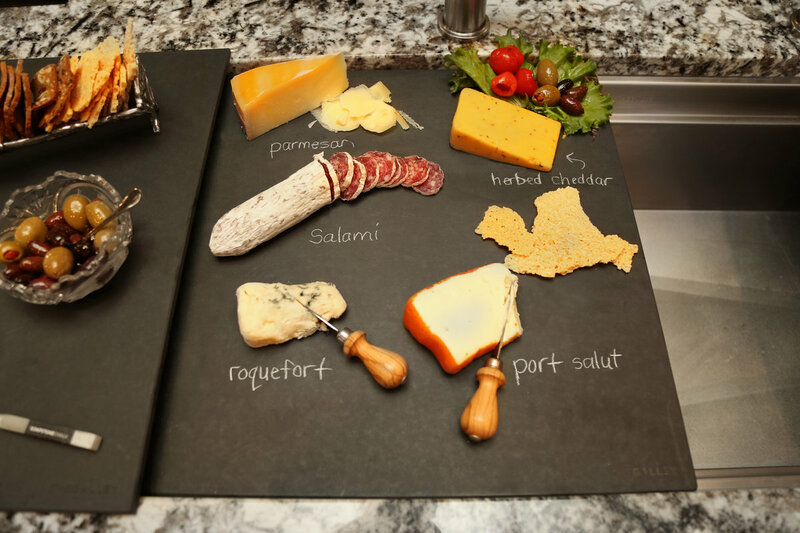 • Additional Culinary Tools optimize the Workstation to facilitate any project, whether it’s making sandwiches for lunches or hosting a soirée. 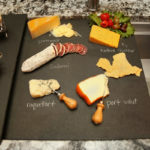 • Counters don’t get dirty because prep mess is contained where it should be ~ in the basin. 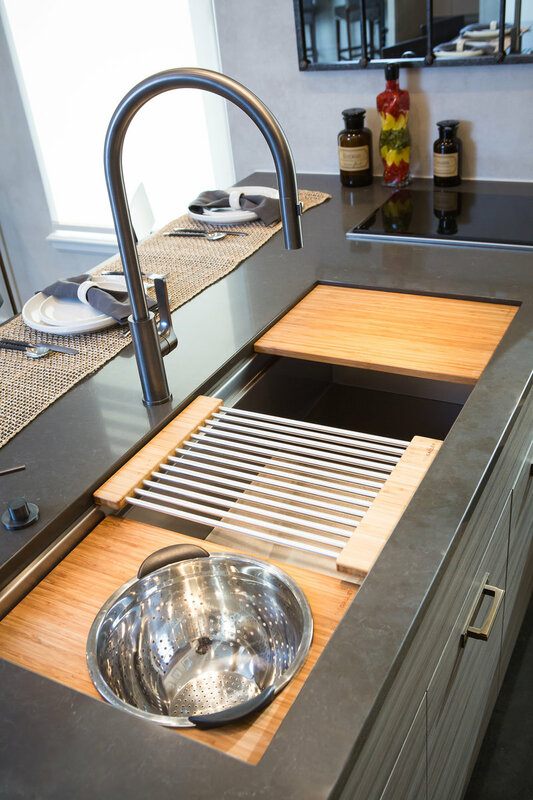 • Clever storage options maximize the space below the Workstation, so the ‘sink cabinet’ is no longer a scary trap for cleaning supplies. 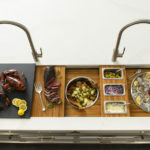 • Multiple configurations are available: a stainless apron front, double-bowl Workstation, DryDock extension, (a built-in drain board that installs over a dishwasher next to the Galley), and custom lengths and depths—to name a few. 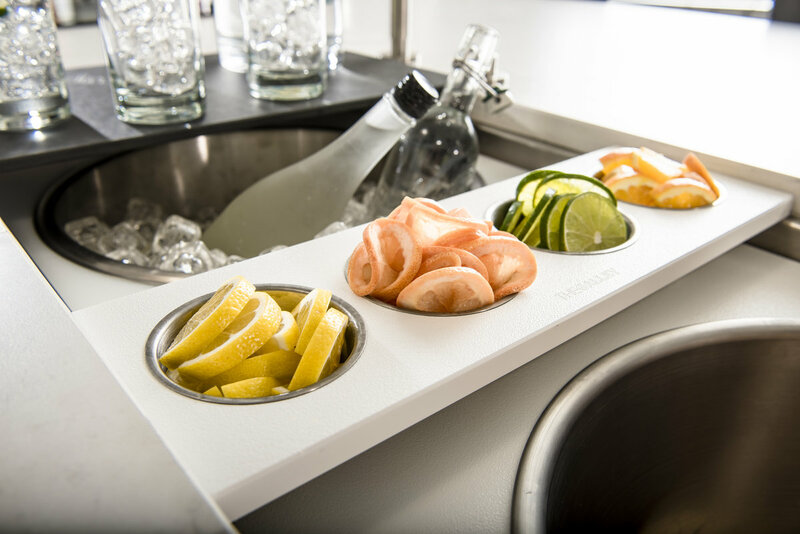 With uncompromising commitment to customer service, The Galley will customize the Galley for your individual needs. 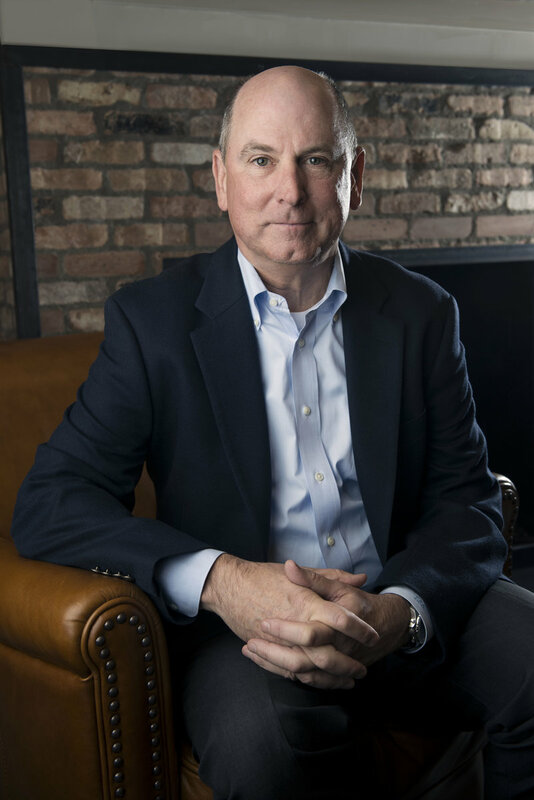 “We will do anything we can to satisfy the needs of our dealers and their clients,” said CEO Anderson. Constantly innovating, they’ve added two major product lines. 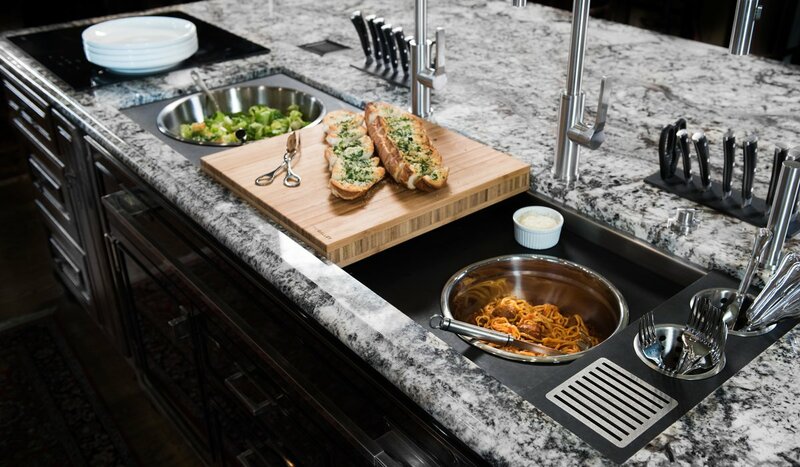 The Galley TapⓇ is a world-class, ergonomic solid stainless steel faucet created to perfectly pair with The Galley Workstation. 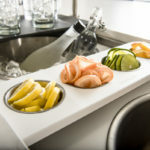 Manufactured in Italy, the Tap’s 21″ height has a 27″ pull out spray, magnetic docking system and option for laminar or spray flow. 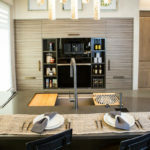 The Galley DresserⓇ is a luxuriously elegant and highly functional statement furniture piece housing the Workstation and Culinary Tools. The Tap and the Dresser are stunning. 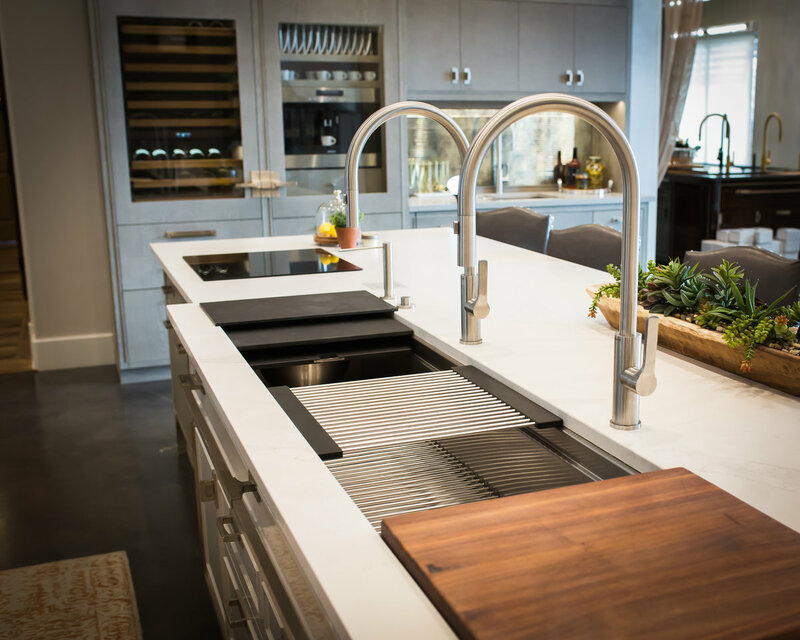 The Galley as a central workstation may make some skeptical because it’s too easy. The truth is, it IS a lifestyle change to a superior system from what’s existed for the last 90 years. 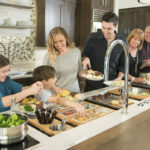 It replaces an inefficient and antiquated approach with a contemporary one, reducing time spent cleaning, improving the prep area, and providing more moments with family and more togetherness. 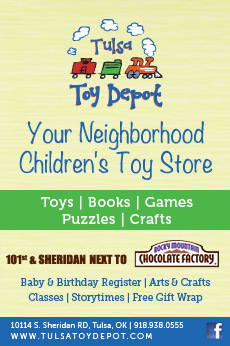 For more information and a list of dealers, visit TheGalley.com. 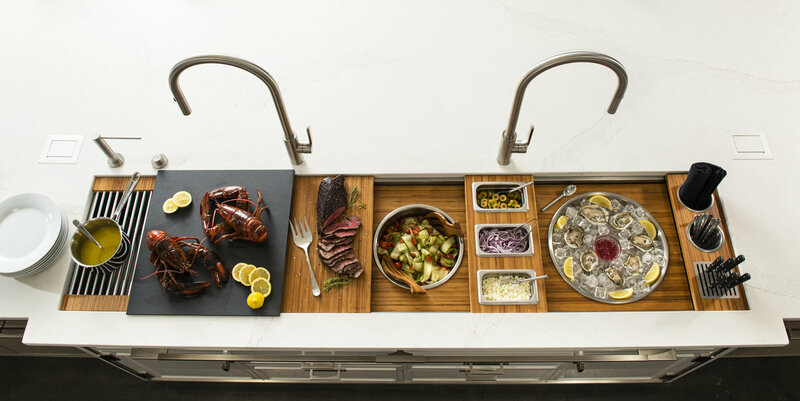 “The Galley Workstation is revolutionizing how people think about and use their kitchen. 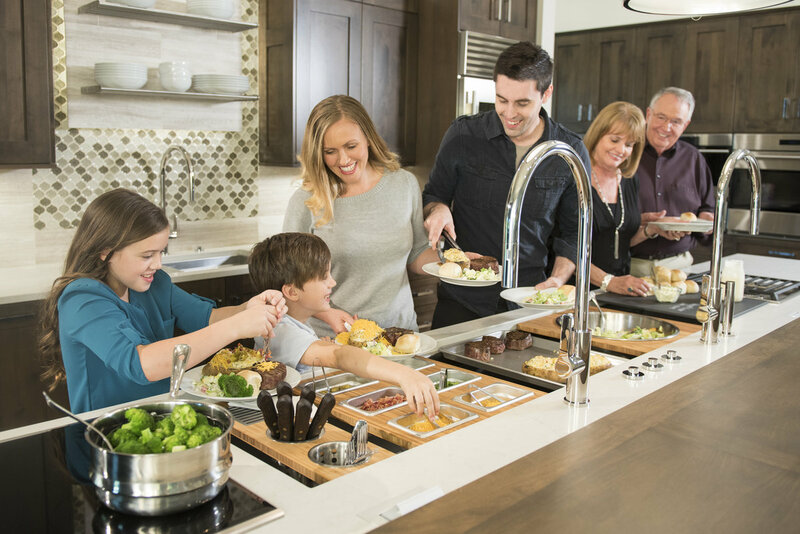 It solves so many problems that have existed in the kitchen for many years.” —Scott Anderson. 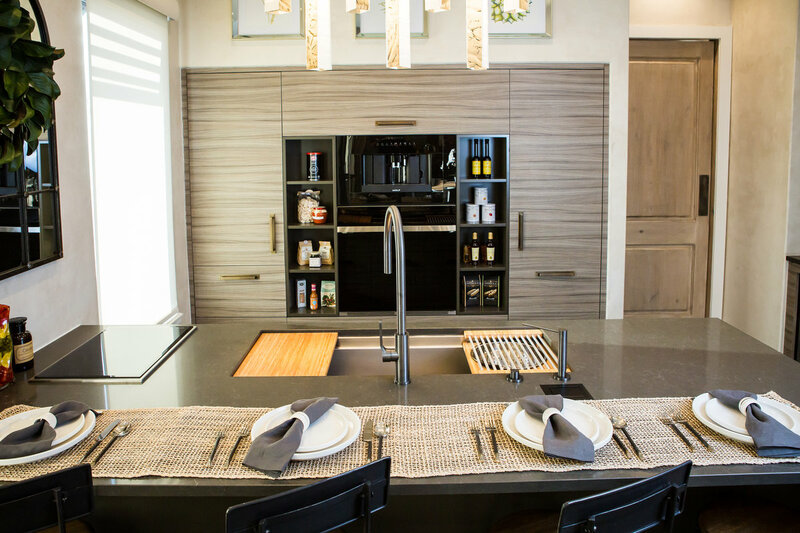 With the functionality of The Galley Workstation, versatile options can transform your kitchen into a fun soiree. 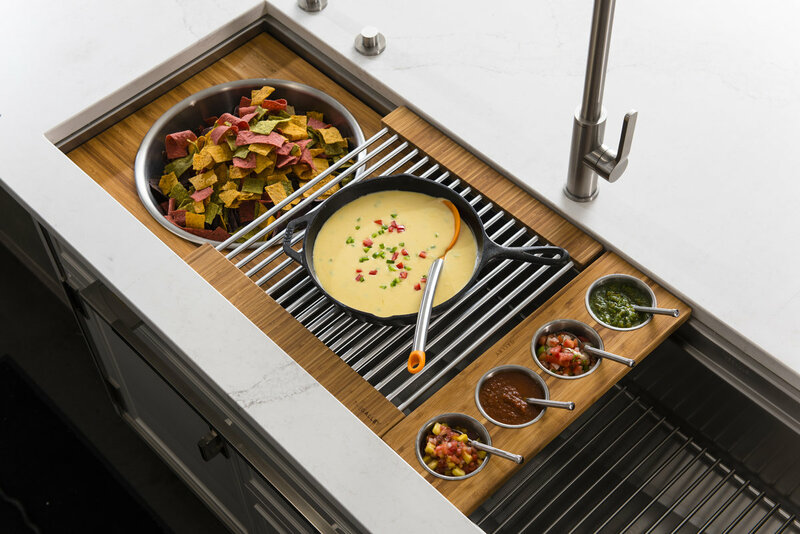 The looks include the Culinary Kit provided in every workstation and optional accessories are purchased separately. 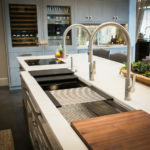 The Galley Workstations and the entire product line are available at six authorized dealers in the Tulsa metro area: Kitchen Ideas LLC, Metro Appliances & More, Heat Wave Supply, Jay Rambo Co., 180 Kitchen and Design Group and Surfaces. Photos Credit by John Amatucci.